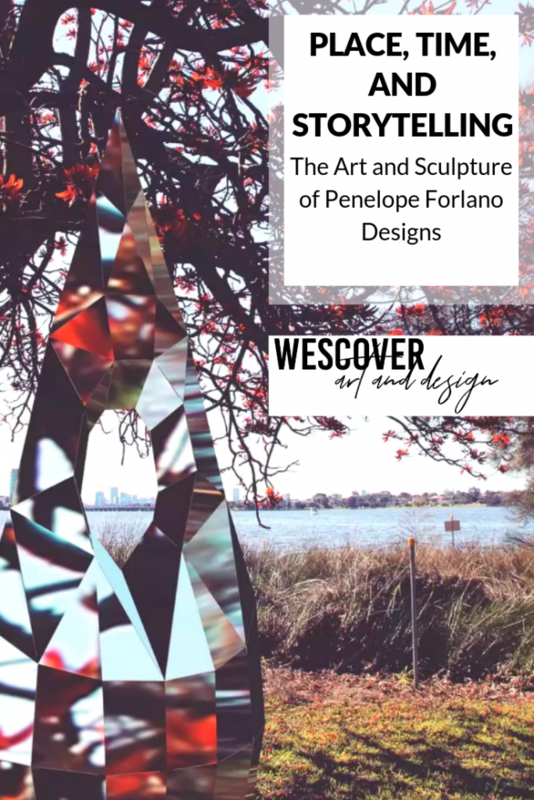 Penelope Forlano from Forlano Design is a spatial designer and public artist who shows us that there is a unique beauty to artwork that is made specifically for a certain environment. 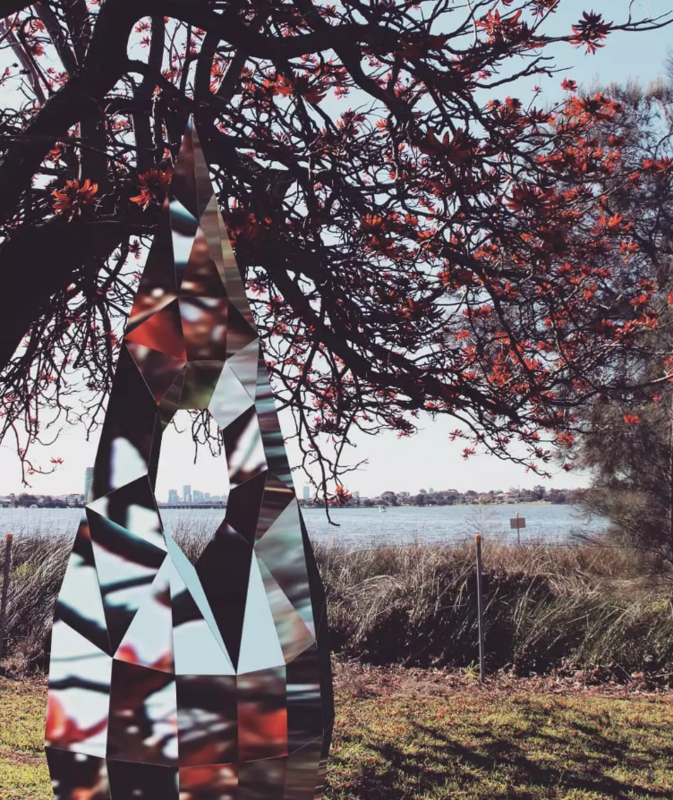 By reflecting reflect settings or objects external to the artwork, her sculptures are defined by their surroundings. 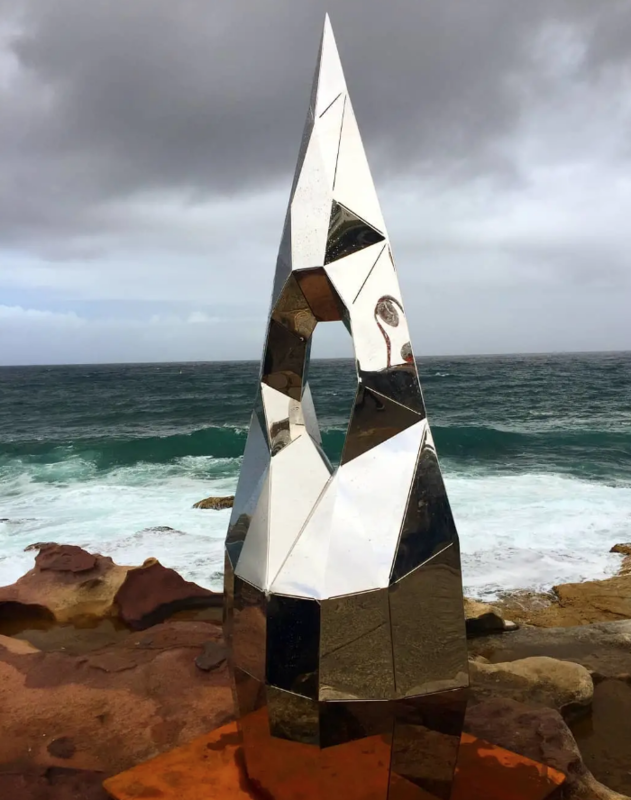 Her public reflective sculpture “Underway” is a contrast of modern, angular materials against the organic lines and colors of nature displayed on them. Penelope is particularly interested in the mnemonic and emotional experiences we have with artifacts. Using a design-anthropology approach, her recent doctoral research examined “emotionally enduring” artifacts and how they evoke custodianship in the user. 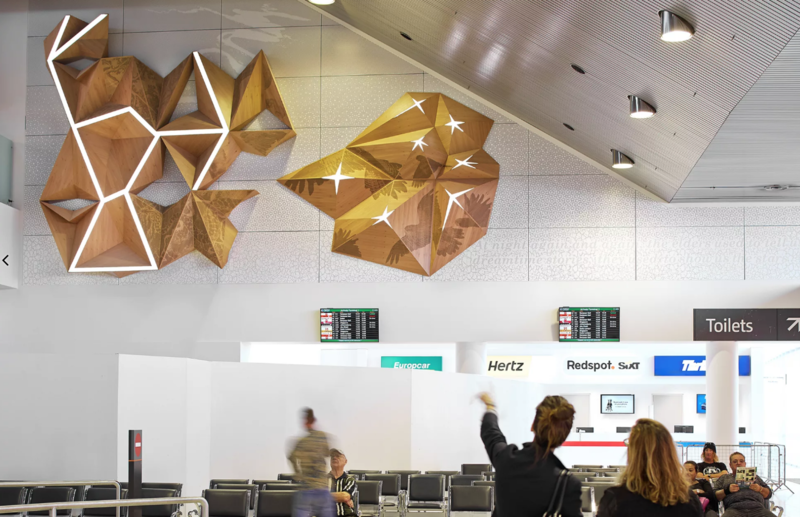 Her ‘From the Sky’ installation draws on the location of Perth Airport. 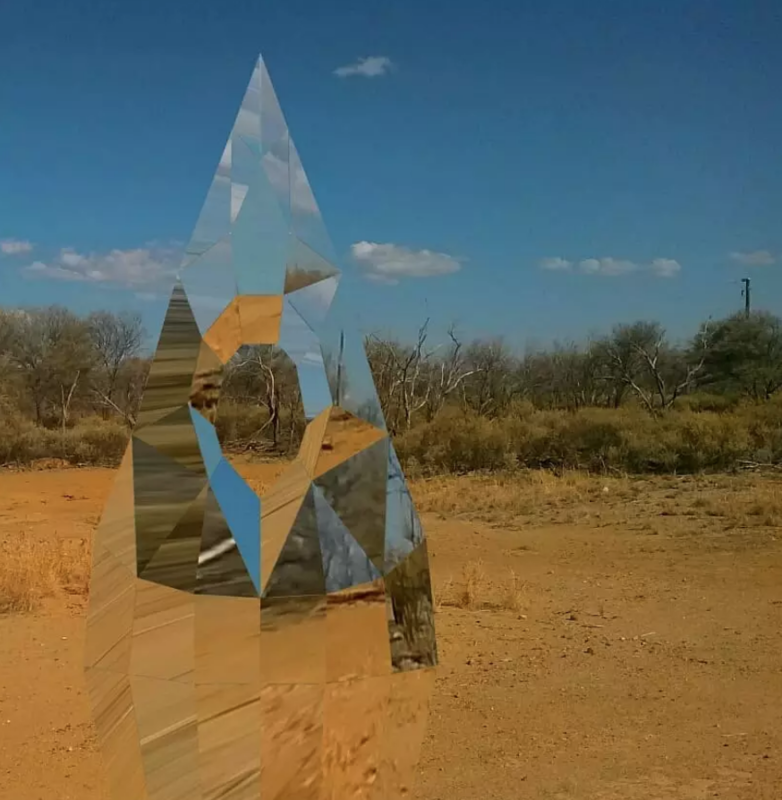 The site was one of the most significant archaeological Aboriginal sites in South Western Australia. Penelope seeks to respect the origins and custodians of the land while also bringing awareness to the cross-culture connections made possible through the stars and the earth. Her piece depicts the rare fauna and constellations, which were then widely used as a guide for direction. Every one of her pieces tells a story, as does the particular setting she chooses to house them. We spoke with Penelope and learned how research, the notion of time, and storytelling can come together to produce beautiful works of art. Penelope is a firm believer that what makes a place special is the personal meaning embedded within it that only a few people know of. It is true that every object that we come into contact has a story: Sometimes we don’t know its story until it becomes a part of our lives and grows to remind us of certain things. Perhaps we are lucky enough to have insight into the creator and the story behind a particular design piece. But all these stories are created within our lifetimes, stories we bestow on these objects as they grow with us and accompany us through layers of our lives. One of the many beautiful things about Penelope’s artwork is how she seeks to revive and retell past stories that we might have otherwise forgotten. 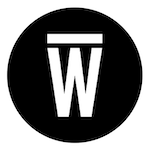 Penelope Fiorano, featured on Wescover. Also a visual storyteller? You’re just our type! GET ON THE MAP!